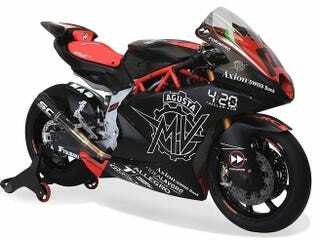 MV agusta is coming back to GP racing. but, due to the new rules, the first year will be an MV chassis powered by a TRIUMPH 765 motor. its intresting, because MV was the only other manufactuer to make a triple super sport bikes, a 675 and an 800 to compete with triumphs then daytona 675. With triumph no longer making the daytona, and a new contender in the form of the Yamaha C3P motor found in the MT09, tracer 900 and XSR 900. I wonder how this will go.